Are you wondering if your church should have a children’s program this year? Would you like to have one, but you aren’t sure how? This article tells both WHY you should have a program and HOW you can have one successfully. Are children’s Christmas and Easter programs really worth it? Should they still be a part of church programming? Are they even relevant in today’s fast paced, media saturated society? Why bother with the extra hassle, the extra busy-ness, the extra effort it takes to put together a children’s program? 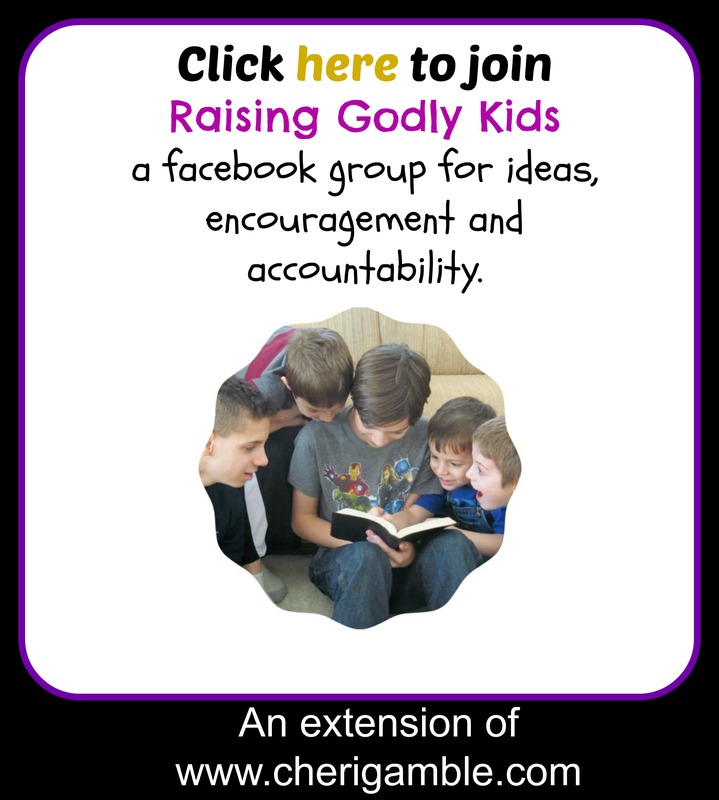 These are questions I have heard discussed recently and today I am going to give you my reasons for why I feel that children’s programs are definitely still worthwhile and relevant, and then I will give you some tips on how to create a successful children’s program for your ministry. 1. Kids remember what they perform. Set anything to music, and a child will remember it. Give them lines to learn and a part to play, and the message will truly soak in. Need proof? Those of you who were in programs as a child, try filling in the blanks: “There’s crickets and tadpoles, turtles and frogs . . .”, “It all happened in the country in a little country town, country folks and farmers . . .”, and here’s a REALLY old one: “Where’s the real one? (‘Where’s the real one’) Which one brings gifts to me? Where’s the real one? (Where’s the real one’), I’m as . . .”. I’m sure you can add many more that you remember from your childhood! In fact, if you have a song floating in your head right now, put some of the lyrics in the comments to help prove this point! 2. Children’s programs bring people in to the church more than any other event. Even people who hardly ever come to church will come to see their niece, grandchild or next door neighbor in a program. And, since most children’s programs are at either Christmas or Easter, it is an excellent way to share the gospel message in a non-threatening, fun way. 3. Children’s programs allow kids to shine! Put the spotlight on the children for a day and let them shine for Jesus! 4. Church children’s programs help kids learn the true meaning of the holiday. One of the excuses I have heard for why churches should stop doing children’s programs is that children are involved in programs EVERYWHERE. And, while that is true, most other programs focus entirely on the secular side of the holidays. I remember one time when we were singing “The First Noel” at a children’s event. Imagine my surprise when my churched kids started singing alternate words that they had learned in school. They didn’t even know there WERE other words!! Can you relate? Churches need to keep having children’s programs so that kids can perform and memorize the TRUE meaning of the most important holidays on the Christian calendar!!!!!!!!! 1. Keep it fun! Yes, putting on a children’s program can be stressful, but try to keep your rehearsals stress-free. Remember, church programs are optional for your kids. The kids that participate are there because they WANT to be. Do all you can to keep them WANTING to be there. Start your rehearsals with prayer and a joke or two, keep a smile on your face (even if you are totally stressing out yourself) and avoid the temptation to yell at the kids. Do all you can to create positive memories for the kids in your group. 2. Aim for excellence. Kids are capable of a lot more than what we often think. Choose a program that fits your group and then do all you can to help them do the best they can. Challenge your kids to give 110%, reminding them that everything they do should be done for Jesus! 3. Look for ways to let all kids shine. Not all of your kids are going to be super great singers or actors. Look for areas where your non-musically talented kids can shine. Perhaps this means allowing a child to play a triangle or tambourine for a song or letting children help with sets and costumes. The church should be a place where all parents can walk away feeling proud of their child, so let all kids have a chance to shine! 4. Find a solid program with a gospel message. There are literally hundreds of programs out there. Some are great and some are, well, not so great. Remember that your kids are probably going to be singing these songs or quoting their parts for years. Pick a program that has the focus on the right place. For the past four years, I have been writing my own Easter plays to make sure that the message of the Resurrection is not watered down. Three of these plays have been published and if you are looking for an easy, yet powerful and gospel-centered Easter play, you can check them out here. 5. Help kids with memorization as much as you can. This is a tip that has helped me tremendously. I noticed early on that not all kids are going to practice their parts outside of the rehearsal. This was quite frustrating to me until I discovered that I could take time out of the earliest rehearsals to send kids off with adults who would help them memorize their parts. Our first rehearsals are spent working on memorization in groups, and that makes the rest of the rehearsals run a lot smoother! 6. Get other adults involved as much as possible. Most of you have realized by now that you cannot do it all. (And, even if you CAN do it all, you probably shouldn’t). I have a great group of adults who help me with practices, sets and costumes. Find a great group of adults to help you, too, and then let them take over that area. Less stress for you, more people involved. It’s a win-win! 7. Make your rehearsals a part of your regular programming if at all possible. Every fall we begin our Christmas rehearsals. These take place on Sunday night at the same time as the adult service. The same thing happens for our Easter rehearsals. Families do not have to give up an extra day of the week and we don’t have to feel like we are taking away from children’s church or Sunday School. Find a time that works for you and then dedicate it to working on the program. This will not be wasted time! After all, most of your children will probably remember these programs more than the lessons you teach in Sunday School! 8. Don’t be discouraged if you have a small group. Children’s programs can be performed with ANY size group. In the past, I have had groups as small as 7, and as large as 40. Know the size of your group and pick a program that is easily adaptable. A small group is not a reason to cancel the children’s program – in fact, having a children’s program with a small group can show others how committed you are to the children in your church and help bring other families in! 9. Take criticism with a grain of salt. You are probably used to doing this already in your ministry, but it is especially true in conjunction with children’s programs. There will always be sound issues, kids who speak too fast, kids who mumble, music that is too fast, too slow, etc, etc, etc. Fix what you can and trust God with the rest. 10. Cover your performance with prayer . . . and let your kids pray,too! Before we have a performance, I ask for several volunteers to pray and then I back away and let them pray. The prayers might be short and they might be a bit different than what I would have prayed, but they are heartfelt and powerful. Once the performance has been covered with prayer, back away and let God take over. You might be surprised at what He decides to do with your children’s program this year. Do you have anything to add? What are your “Why’s” and “How’s” of children’s programs in the church? Feel free to share your ideas in the comments below. I hope you have a great Children’s program this year!